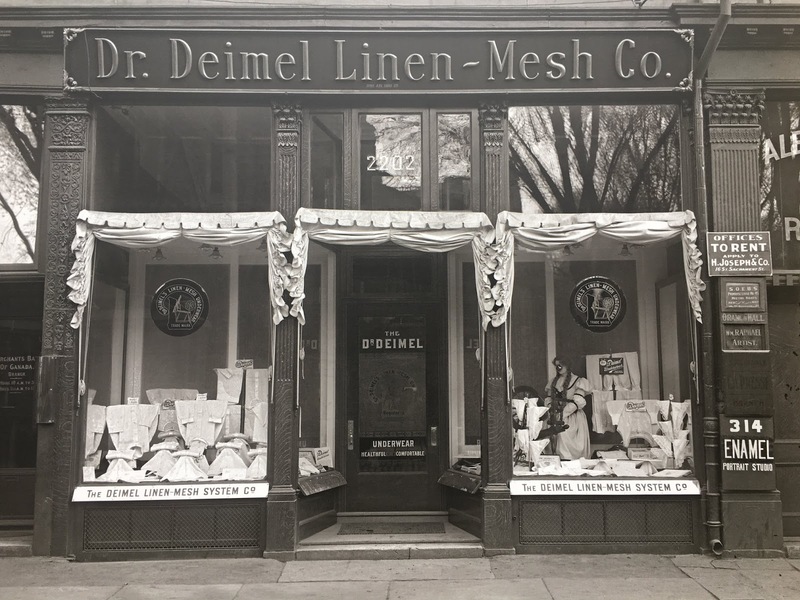 In 1894 Dr. Henry Deimel took out a United States patent on the process for producing a linen fabric called 'linen-mesh' which he used to make underwear. According to him, the material allowed the skin to breathe better than wool. In the window of his store the brand is illustrated by a mannequin with a spinning wheel. 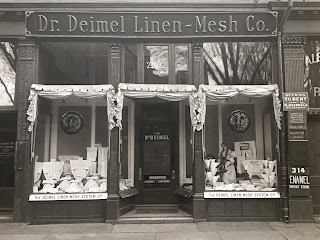 From the "Montreal Storefronts Exhibition" put on by the McCord Museum on McGill College Avenue. Taken in 1908 by William Notman & Son. Store address in 1908: 312 Ste. Catherine Street West. The chapel is known as the Sailors' Church, since many devout sailors prayed here for safe passage. These seamen also donated votive lamps in the shape of model ships that you can see hanging suspended from the ceiling. There is some interesting artwork from native Quebec artists inside the chapel, including 'Typhus' by Théophile Hamel - a poignant picture of nuns treating the sick - and, on the back wall, portraits of Marguerite Bourgeoys and Paul de Chomedey de Maisonneuve by Ozias Leduc. The ceiling of the chapel is decorated with beautiful frescoes that depict the life of Mary. In the chapel dedicated to Marguerite Bourgeoys is a small oak statue of a Madonna and Child, which was given to Marguerite in 1672. The statue, which survived several fires, is said to have miraculous powers and was the object of veneration. In the crypt of the chapel you can still see the foundations of the original building and there are even traces uncovered of a wooden palisade and a settlement of an indigenous tribe. A small museum in the chapel and adjoining schoolhouse is dedicated to the life of Marguerite Bourgeoys. This pious woman opened the first school in the city and also helped and housed the young girls who were sent from France to marry settlers. In the museum the important events in her long and extraordinary life are visualized with the help of miniature figures. The museum also gives you the opportunity to visit the tower of the chapel, which offers panoramic views of Montreal's Old Port. 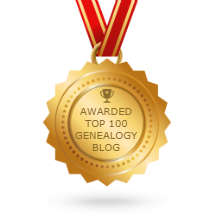 In 1655, Marguerite Bourgeoys, in return for her unpaid work, requested the construction of a new chapel dedicated the Virgin Mary, after whom the settlement, Ville Marie, was named. When the chapel was finally completed thirteen years later, it was the very first stone church in the region. In 1754 the chapel burned to the ground but already in 1771 a new church - the one we see today - was built over the ruins. Over the years the building was altered many times. In 1885 the steeple was built and an ornamental tower with an 'aerial chapel' and views over the St. Lawrence River was completed in 1893. The chapel's current appearance is the result of a final alteration in 1953, when both the steeple and tower were lowered. 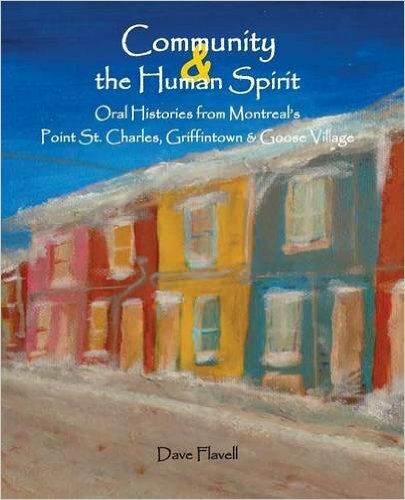 By the mid-nineteenth century, the need for a central market was realized and construction of the Bonsecours Market began in 1844 with a design by architect William Footner. This public market officially opened in 1847 though interior work continued until 1852. 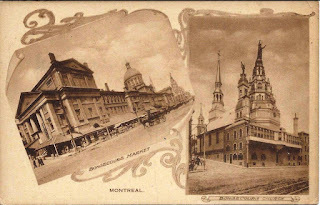 Bonsecours Market was home to Montréal's City Hall from its opening until 1878. 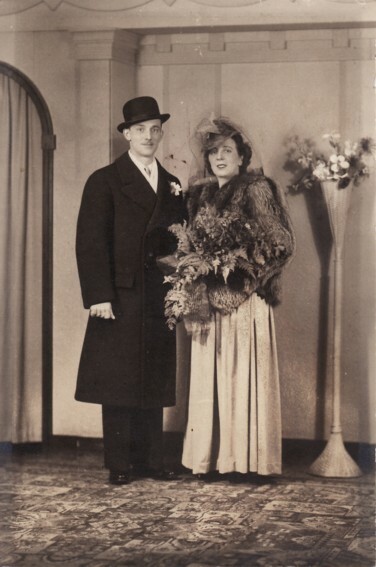 Also during that time, architect George Browne added a Victorian concert hall in the East Wing of the market as well as an adjoining banquet hall, making it suitable for large parties and musical events. 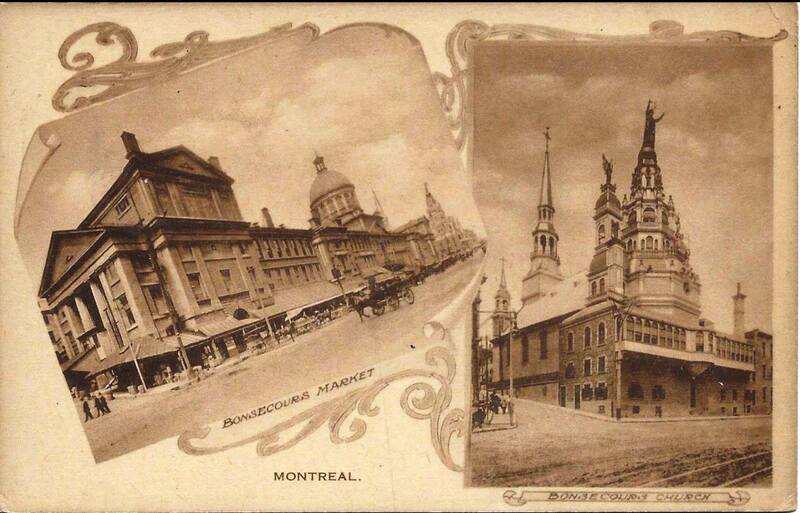 The major purpose for Marché Bonsecours, of course, was as a market where Montréal citizens could come to buy produce from local farms. The market continued to serve in that capacity until it closed in 1963. Marché Bonsecours is built in the neo-Classical style with a long facade and a colonnaded portico. These Doric columns were cast in iron and made in England. The silvery dome of the Bonsecours Market is its crowning glory and can be seen not only by most Montrealers from anywhere in the city but also served as a landmark for sailors on the St. Lawrence River. Because much of the market was abandoned for a few decades previous to its closing in 1963, extensive renovations were made the following year and the market became the home to city government offices in 1964. In 1992, it became the information and exhibition center for the celebration of the city's 350th birthday and has remained an exhibition hall since that time. Visitors to Marché Bonsecours, which is the headquarters of the Craft Council of Québec and the Institute of Design Montréal, can browse through more than a dozen boutiques and enjoy lunch or dinner at a selection of restaurants, including the unique theme restaurant, Cabaret du Roy, where guests can eat in an eighteenth-century atmosphere.